Secure your Windows infrastructure with our miniOrange server that provides Single Sign On and 2-factor authentication solutions. This guide provides an introduction into some of the key solutions provided by the miniOrange Single Sign On server to secure your Windows infrastructure, some of them being able to authenticate into connected applications after you are logged in to your Windows domain, adding a 2nd layer of authentication when you are gaining access to protected resources through a VPN or a Remote desktop server, etc. In any of the above cases, LDAP is a significant aspect since it has the advantage of consolidating the information for an entire organization into a central repository. miniOrange provides a wide range of solutions for LDAP, such as LDAP Proxy/Gateway, ​Support for multiple Active Directories as user stores, Active Directory Sync with the miniOrange server, etc. You are logged in to your Windows system, and you want to log in to an application, say a on-premise app like SharePoint or a cloud app like GSuite. Don't you get tired of logging in to each application with the same credentials every single time? Trust us, we can make it effortless for you. miniOrange provides a solution which, once you are logged in to Windows, lets you Single Sign On into connected applications hosted both cloud and on-premise, given the applications are configured within the domain for SSO. You can configure intranet portals / applications like Google Apps, Office 365 etc. that will log you in automatically when tried to access. Windows Challenge/Response (NTLM) is the authentication protocol used on networks that include systems running the Windows operating system and on stand-alone systems. The Kerberos protocol defines how clients interact with a network authentication service. Clients obtain tickets from the Kerberos Key Distribution Center (KDC), and they present these tickets to servers when connections are established. Kerberos tickets represent the client's network credentials. Windows authentication uses either Kerberos authentication or NTLM authentication, depending upon the client and server configurations. This document follows the example of an use case in which NTLM is the best choice - The applications are deployed on Windows Servers joined to the Active Directory domain. i.e) A whole Microsoft Active Directory setup exists. 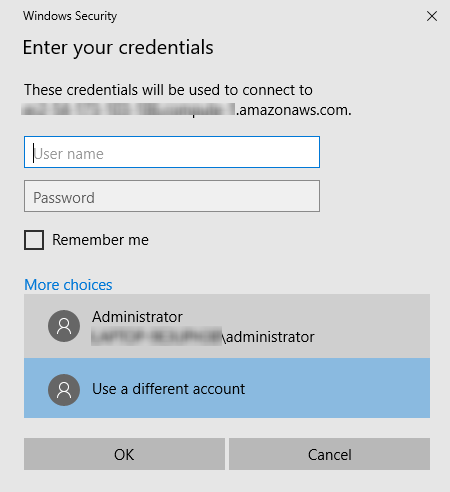 miniOrange SSO server allows you to login to your applications without re-entering your credentials after you authenticate yourself into the Windows domain. miniOrange achieves this by, installing a component on the Windows Server that, basically acts as an Identity Provider. When the user tries to access a cloud application like Salesforce, the request is sent to the miniOrange SSO Server which in turn asks the miniOrange SAML module installed in the Windows machine if the user can be logged in, and performs SSO based on the response from the module. 1. 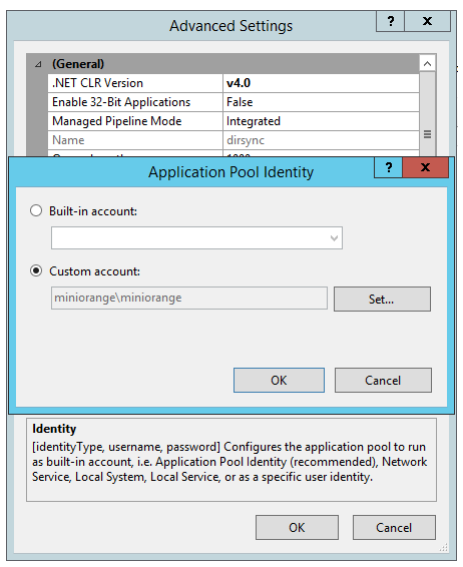 Enable Windows Authentication and configure SSO applications of interest in the Windows Machine. 2. Installing the miniOrange SAML module in Windows and configuring it with the miniOrange SSO server. Step 1: Setup IIS for Windows Authentication. 1. Open up command prompt in Administrative mode. 3. Open up Active Directory Users and Computers. 4. Search for the service account which was used to create the Service Principal Name(SPN). 5. Navigate to the Delegation tab. 6. 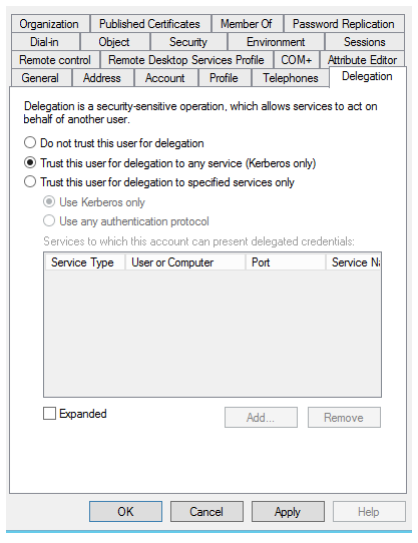 Select Trust this user for delegation to any service (Kerberos only). 8. Open up IIS Manager. 9. Select the site which you want to apply Windows Authentication to. 10. Select the Application Pool for that website. Right click on it and select Advanced Settings. 11. Use Custom Account and set the account as the service account for which delegation was enabled. You would need to enter the password of the service account as well. 12. Navigate to the Authentication section for the website. 13. Enable Windows Authentication and disable Anonymous Authentication. 14. In the Configuration Editor, search for system.webServer/security/authentication/windowsAuthentication. 15. Set useKernelMode as False and useAppPoolCredentials as True. 17. Open up Internet Explorer and open Internet Options. 18. Add the FQDN of IIS Server to the list of sites in Local Intranet. 19. Select Custom Level for the Security Zone. In the list of options, select Automatic Logon only in Intranet Zone. You will be installing a SAML module on the IIS Server joined to the Windows Domain. And this module will be responsible for identifying if the user who is logged in to Windows can be logged in to connected applications as well, within the domain. When the user is trying to access a cloud application, say Salesforce for example, the request is received by miniOrange which forwards the request to this SAML module installed on-premise, which determines if the user can be auto-logged in, and sends the response accordingly. 1. Put in the URLs in the samlsso.php in the SAML Module. 1. Login to the admin dashboard. 2. Navigate to Identity Providers in the left navigation bar. 3. Click on Add Identity Source. 4. Add a SAML Identity Source in miniOrange with the details of the on-premise SAML Module. 5. Save the Identity Source and make it as the Default Identity Source by clicking on Make Default. LDAP with non public IP - This can be very beneficial if your aim is single sign on but your LDAP exists within your intranet with a non public IP. You can still authenticate your site (which could be anywhere outside your network) and with the help of this two part plugin (plugin + gateway) you can authenticate against your LDAP and achieve single sign on. Secure calls using HTTPS - All remote calls happen through an encrypted channel. Setup LDAP configuration once and access from multiple sites - You only need to setup your LDAP configuration once and you can access from multiple sites, thereby achieving ease of use. Your LDAP stays secure since its behind your firewall. Cloud based LDAP authentication system - This means that the libraries that are needed to authenticate against your LDAP/AD is not PHP based so it can support a much larger variety of LDAP. How does LDAP Gateway work? miniOrange gateway is a small piece of software that can reside on a shared machine. It wont need its own machine and our customers generally install it on any server thats already in the DMZ. 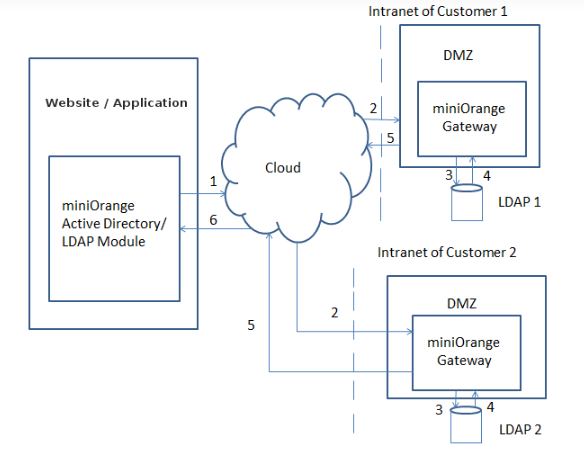 The miniOrange LDAP Gateway Sync tool acts as an intermediary between an on-premise Active Directory/LDAP Server and miniOrange Cloud-based service. Authentication against on-premise Active Directory/LDAP from cloud-based applications. Scheduled sync of users from LDAP to miniOrange. Password sync operations from miniOrange to on-premise LDAP. Click here to see the steps for configuring the miniOrange LDAP Sync Tool. Step 1: Set external properties file. 1. Open up the catalina.bat(catalina.sh in Linux servers) if the Tomcat installation. 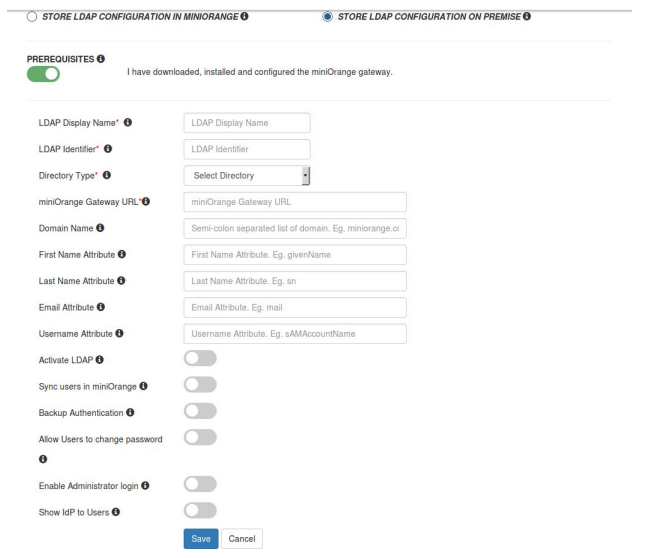 Step 2: Setup LDAP Connection in LDAP Gateway. 1. 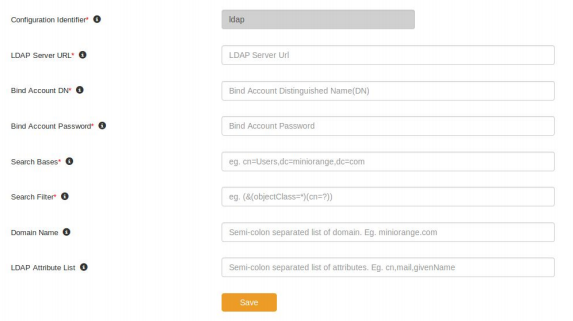 Login into the miniOrange LDAP Gateway. 2. Navigate to the Configure Keys​ section. 3. Set the Customer ID ​and Token Key of the miniOrange account and click on Save. 4. Navigate to the LDAP Configurations ​section. Click on Edit ​for the default LDAP Configuration. 5. Add the following configuration details. Click on Save​. Step 3: Configure Scheduled Sync. 1. Navigate to the Scheduler​ section. 2. Set the Sync Interval​ in hours​. This determines the number of hours after which the scheduled sync will run. In typical setups, it is 24 hours​. 3. Set the Sync time​ in HH:mm ​format. This determines the time of the day in which the first scheduled sync will run. Click on Save​. The scheduled sync will now run at the set time. 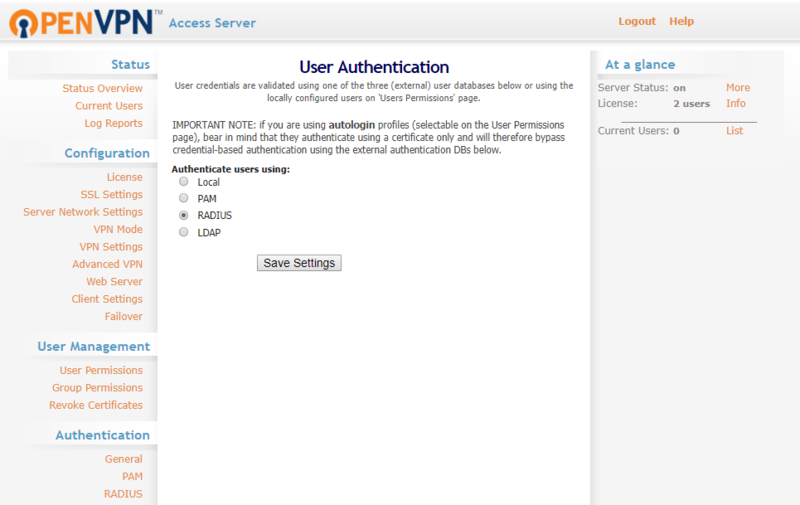 Step 4: Configure external LDAP Gateway in miniOrange. 1. Navigate to the miniOrange Admin Console. Login with your miniOrange credentials. 2. Navigate to the User Stores​ section. 3. Click on Add User Store. 4. Select the type as AD/LDAP​ and set Store LDAP Configuration On-Premise. Set the miniOrange Gateway URL​. Eg, ​You can configure AD1, AD2,....ADN​ ​as an authentication source for apps. With this, users in all these directories will be able to single sign on into all the apps. LDAP Proxy resides in the DMZ between a cloud-based application and an internal LDAP and is responsible for forwarding LDAP requests from the application to the on-premise server. This allows the application to access the proxy for LDAP integration and the internal directory remains unexposed within the network. If you are using a Virtual Private Network ( VPN ) to allow your users to connect over a public network, enhancing the security becomes a concern since users gain access to sensitive digital assets. miniOrange can be of great value here by providing 2-factor Authentication on top of VPN Authentication. This secures the access to protected resources instead of relying on only the VPN username / password. Remote Authentication Dial-In User Service (RADIUS) is a client/server protocol that provides client authentication and authorization. It enables remote access servers to communicate with a server to authenticate users and authorize their access to the requested system or service. The RADIUS client is typically a NAS ( Network Access Server ) which is responsible for passing user information to designated RADIUS servers, and then based on the response which is returned, authenticates or rejects login to the user. RADIUS servers are responsible for receiving user connection requests, authenticating the user, and then returning all configuration information necessary for the client to authenticate the user. 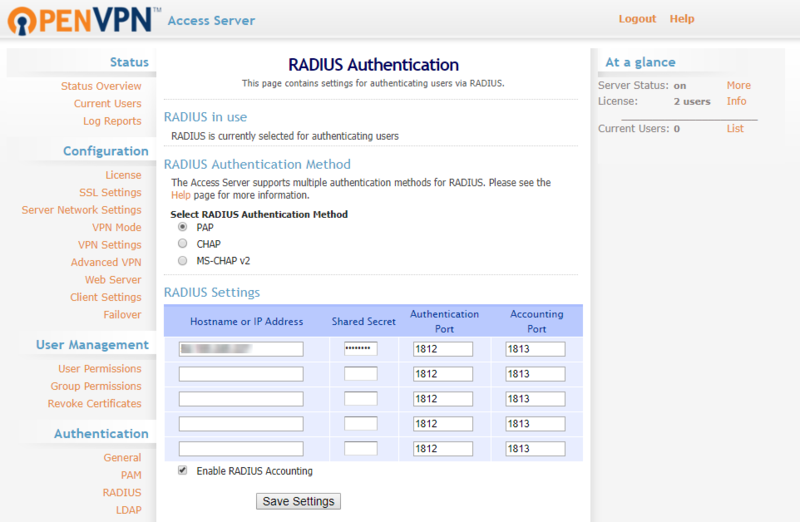 A RADIUS server can act as a proxy client to other RADIUS servers or other kinds of authentication servers. The RADIUS server checks that the information is correct using authentication schemes such as PAP, CHAP, MS-CHAP, MS-CHAPv2, EAP, EAP-TLS, EAP-TTLS and EAP-PEAP. Transactions between the client and RADIUS accounting server are authenticated through the use of a shared secret, which is never sent over the network. In this case, there are two requests. The initial one is with the user's username/password that is validated against the credentials stored in Active Directory. After the first request sends a success response, a challenge request is sent to validate the 2-factor authentication of the user( for eg, in the case of OTP Over Email, an One Time Passcode is sent to the user's email ). The user validates the second factor after which he is granted access to the application. All Authentication methods supported by miniOrange. Software Token, Push Notification, OTP over Email to name a few. 1. The user enters the username + password and after validation, he is prompted for the 2-factor authentication code in the next screen. 2. The user is prompted for the 2-factor authentication in the initial login screen along with his username and password. In both of the above cases, miniOrange accepts the request and validates the username/password first and then the 2-factor code entered by the user. Click here to see the detailed steps. 2. Navigate to Apps >> Manage Apps in the left navigation bar. 3. Click on Configure Apps. 4. Go to Radius applications tab and select Radius Server app. Click on Add App button. 5. Enter the radius Client Name, Client IP and Shared Secret which you will need to configure in radius client as well. 1. Go to User Stores menu and click on Add User Store button. 2. Configure your LDAP settings. 3. Make sure to keep the below options enabled. 1. Go to Policies tab and click on App Authentication Policy. 2. Go to Add Policy tab and add policy for application added in step 1. Radius Server IP / Host : IP or domain name of server where you have installed miniOrange. Shared Secret : Configured in Step 1. The configuration at the RADIUS client's side depends on the VPN Client. OpenVPN has been demonstrated as an example here. 1. 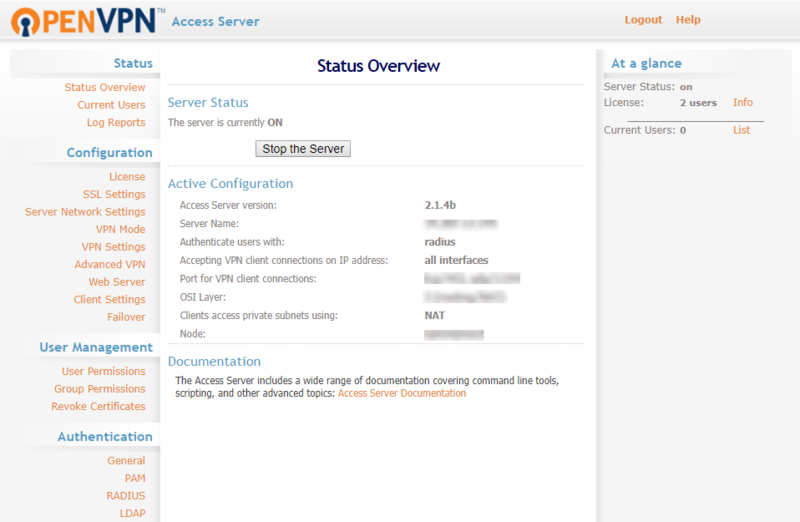 Login to the OpenVPN admin dashboard. 2. Navigate to Authentication >> General in the left navigation bar. Select RADIUS and save the settings. 3. Navigate to Authentication >> RADIUS in the left navigation bar. Select PAP as the RADIUS authentication method. In the RADIUS Settings below, enter the Radius Server IP / Host as the IP or domain name of server where you have installed miniOrange, Server Port as 1812 and Shared Secret configured in the previous step. Click here to see the demo of Google Authenticator as 2FA for OpenVPN. This is how the actual VPN login with 2FA works. 1. 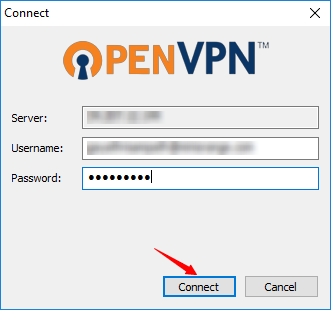 Connect to OpenVPN by entering the hostname of the server. 2. 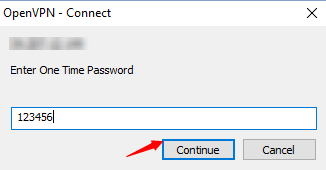 Enter your AD username & password and click on Connect. 3. Now, you are prompted for the 2-factor authentication code. Enter the code and click on Continue. 4. After successful validation, you are connected. The users enter their AD credentials to log in to Palo Alto, the Radius Client, and after the username/password validation, an One Time Passcode is sent to the user's mobile number. The user enters the One Time passcode received, which is validated by miniOrange to gain/deny access to the user. The users enter their AD credentials and the 2FA code ( Software Token ) to log in to OpenVPN, the Radius Client, and after the username/password validation, are prompted for the 2-factor authentication. Post validation of 2nd factor, users are logged in to OpenVPN. The users enter their AD credentials to log in to FortiNet, and after the username/password validation, an push notification is sent to the user's mobile, that he needs to accept to get logged in to AWS. ​When users connect to a Remote Desktop Service, 2-factor authentication is essential to enforce high security protection of your business resources. 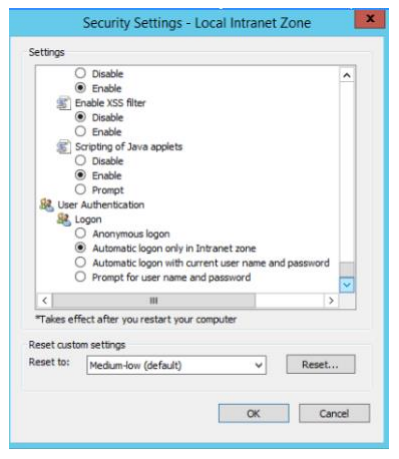 Installing miniOrange 2-Factor Authentication for Windows Logon adds two-factor authentication to Windows login attempts over RDP. ​The user initiates the login to Remote Desktop Service either through a Remote Desktop Client or via the RD Web login page from his browser, after which the RADIUS request is sent from the miniOrange RD Web component installed on the target machine to the miniOrange RADIUS server, which authenticates the user via Local AD, and after successful authentication, 2-factor authentication of the user is invoked. After the user validates himself, he is granted access to the Remote Desktop Service. If the RemoteApp is launched through a Remote Desktop client application, the users validate their 2-factor authentication while they enter the username and password to get access to the resources. ( as this method doesn't support access-challenge response, only out of band authentication methods are supported ). 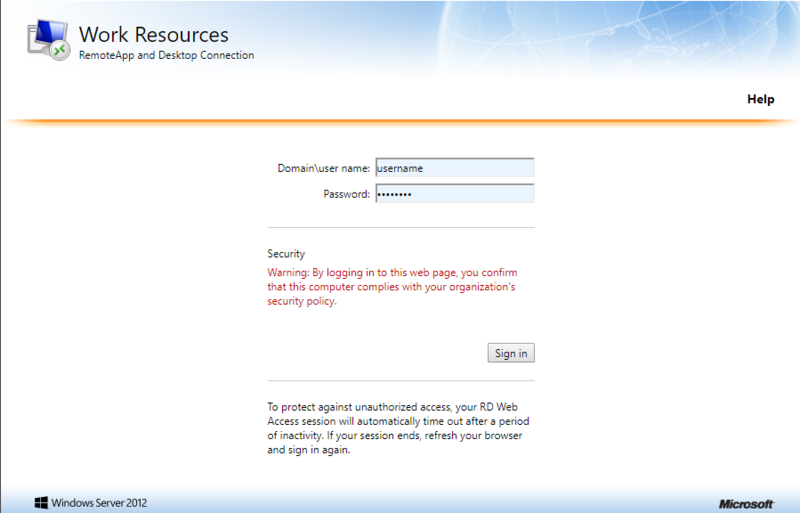 RD WebAccess - RD login page via browser: If the desktop or RemoteApp is launched through a RD Web Login page, the initial user authentication is done from the machine's AD, after which miniOrange challenges the user for 2-factor authentication via a RADIUS challenge request. After the users correctly authenticate themselves, they get connected to their resources. In this case, the user goes to RD Web login page from his browser to connect to the Remote Desktop Service.He enters his username and password, and on submission, the RADIUS request from RD Web component installed on target machine is sent to the miniOrange RADIUS server which authenticates the user via local AD in the target machine. Once authenticated, it sends a RADIUS challenge to RD Web, and the RD Web shows OTP screen on browser now. Once the user enters the One Time Passcode, the miniorange IdP verifies it and grants/denies access to the RDS. With this, after the user is connected to the Remote Desktop Service, the user can also gain access to published remote app icons on his browser screen, since the session has already been created for the user. 1. Install the RD Web module provided by us. Unzip the module anywhere on your pc. C:/ for example. 2. Take a backup copy of your C:/Windows/Web/RdWeb folder. 3. Then open the RD Web module provided by us. Execute install.bat file. Once it is installed. 4. Go to IIS Manager, Open Default Site -> Rd Web ->Pages. 5. Open application settings, Change Radius Server IP and secret of IDP. Once that is configured. 1. User goes to the RD Web login page from his browser, and enters his username/password and clicks on Submit.